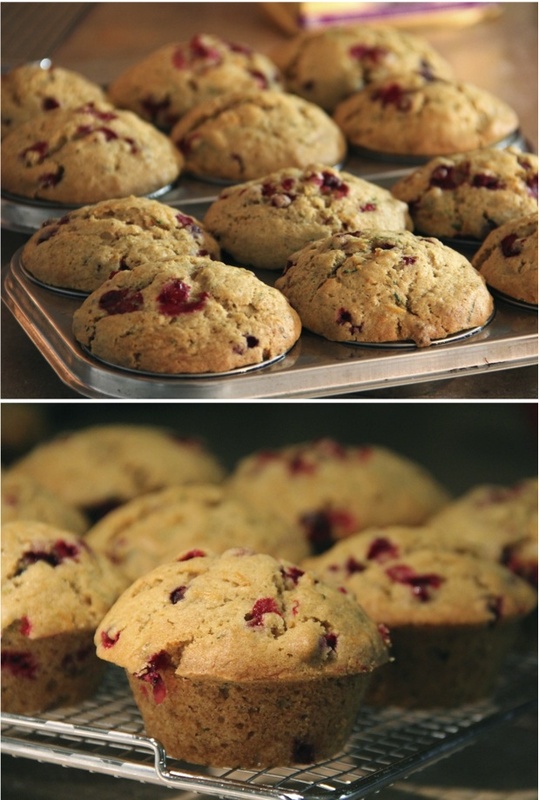 I'm not going to lie - these muffins are crazy good! So good, that I ate two of them back to back for dinner. Yup, and that was my dinner. Can you tell I was flying solo last night?! Preheat oven to 375 degrees. Butter a 12-cup muffin tray. Mix together flour, baking powder, salt, cinnamon, and baking soda. In another bowl, whisk together sugar, oil, eggs, grated carrot & zucchini, and vanilla. Fold dry ingredients into wet, and mix gently until flour is absorbed. Then gently fold in the cranberries (don't overmix). Divide the batter into 12 muffin cups. Bake for approximately 25 minutes - until an inserted cake tester comes out clean. Cool in the muffin tins on a wire rack. These muffins are delicious on their own, but also taste outrageously good with cream cheese icing. Mix all ingredients together until smoothly combined. These look amazing! I love cranberries! Oh yum! I love a good muffin and I love that you suggest to add cream cheese frosting.Yum! I love a recipe that is beyond delicious and is healthy too! These look perfectly perfect. Oh my word, do these look YUMMY! oh heavens, that sounds so good. i think when fall hits, you HAVE to bake. : ) these look yummy! Mmmmm, MMMM! I adore the sound of these. I've started hiding zucchini in my muffins lately (made choc-zucchini ones the other day, haha). I miss cranberries terribly, especially this time of year that I associate with Thanksgiving. This is a must-try for me, even if I have to go hunting for precious cranberries at the expat store. This just in: this recipe also works great using half whole wheat flour, half all-purpose flour. I bet it would work using all whole-wheat as well... going to try that next time. Ha! I ran out of all purpose flour and had to use whole wheat for half of recipe and they turned out delicious. Not exactly healthy... unless you make a few substitutions. Just sayin. Shouldn't advertise healthy when it's not! Well of course every recipe can always be made "healthier"... it's a matter of opinion I guess. They do contain a lot of zucchini and carrots, but they still taste as decadent as a muffin should.... you have to live a little! But for the record, this recipe works wonderfully with whole what flour as well. Hello! My daughter and I made these today! Will be great to put in the kids lunches! I add applesause when it calls for oil, and they are great, also a little allbran makes them healthy. Could you also make this is cake form? yes, definitely! I did it as a coffee cake once and it turned out beautifully. Just adjust baking time appropriately... until an inserted cake tester comes out clean. I love these and have made them three times -- twice with substitutions to lighten them up a bit. For any readers interested, here's what I did. Instead of 1 c oil, I used 1 c unsweetened applesauce. Instead of cranberries, I used a frozen mix of raspberries, blackberries, and blueberries. The natural sweetness of the applesauce and the berries allowed me to drop the sugar down to 1/3 c. I also did an even split between flour and cornmeal (1 c each) for a little texture. The muffins turned out fantastically with and without these substitutions, but I just wanted to let anyone who would care to know that subbing out the oil entirely didn't mess them up. Thanks for posting such a great recipe! 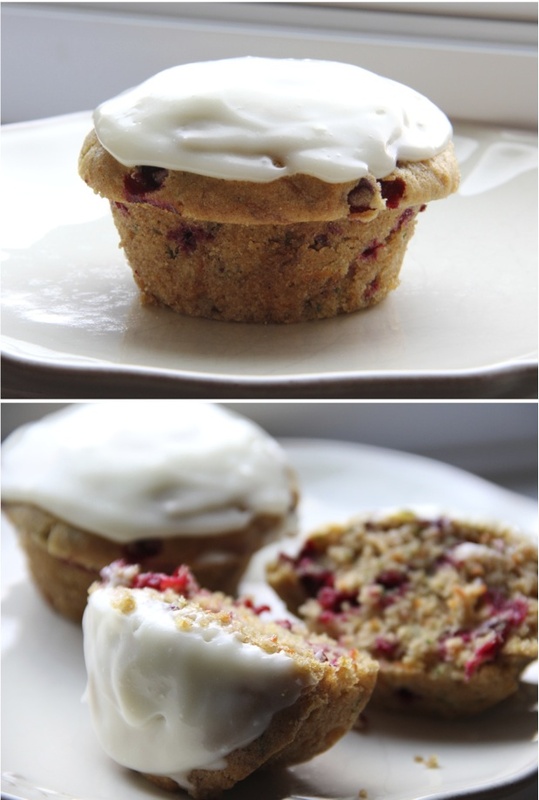 I'll be making these muffins in one version or another for years to come. I have read your post. Awesome post. Most informative. I was not aware of this cooking method. I love the food at all difficult to handle temptation. Delicious. I added 2 cups of fresh cranberries since I needed to use them up. They're tart but good. My 6 year old and husband love them too!